What if, during a battle with fear, we could take some tips from David? Or in wrestling with a relationship, we could learn from Ruth? Or when we’ve got questions about the future, we could sit down with Joseph? Through their successes, struggles, and failures, these men and women of faith have blazed a trail for us to follow. We can walk beside them and discover God with them­­. Their stories took place thousands of years ago, but what their lives teach us has never mattered more. Much of what we learn comes from the people we live with. We see and share their worlds and, without realizing it, are shaped by them. What would it be like if we could share in the lives of the great heroes of the faith? 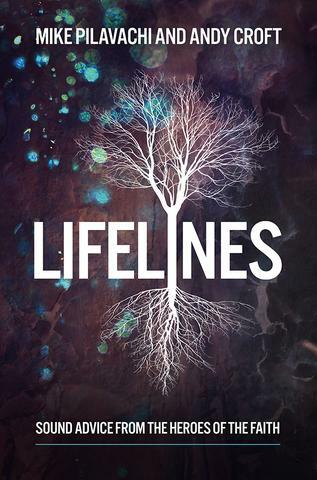 In Lifelines, Mike Pilavachi and Andy Croft help us understand what the stories of these biblical characters have to teach us about how to live lives full of faith and integrity today.